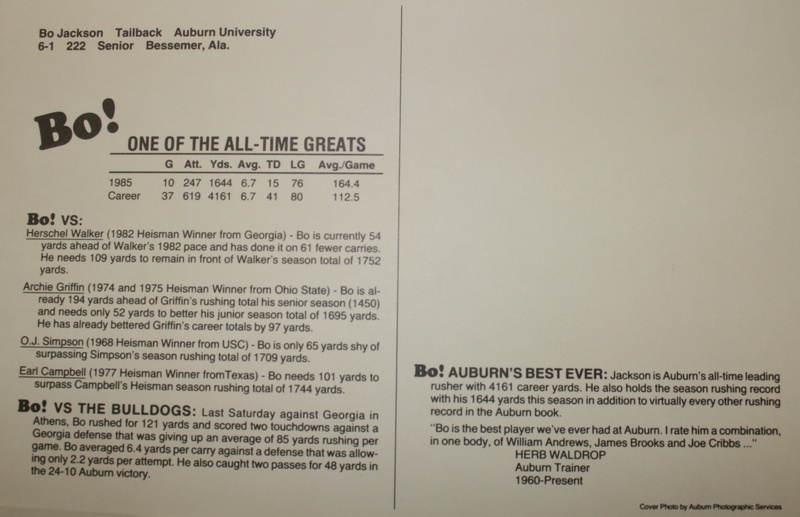 Continuing in our heartily-researched, interview-heavy retrospective series on the campaign to bring the Heisman Trophy to Auburn for the second time, which so far includes an interview with Tony Barnhart, a look at the un-campaign of ’84, an interview with Randy Campbell about his country Bo ballad, a comparison of the Bo and Cam pre-Heisman SI covers, and my “Bo Jackson has a cold” story… and which better get fast-tracked before the blinding, newly-bronzed light of The Blessed Individual blots out whatever interest remains. 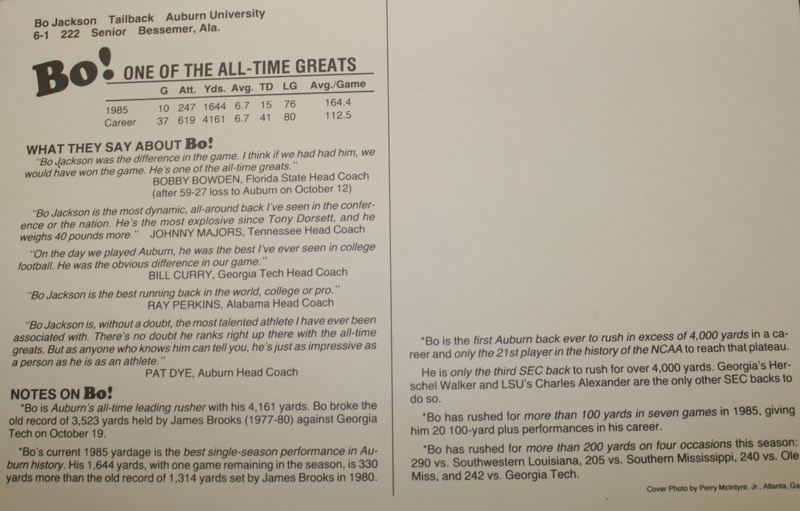 They say that Bo’s was a quiet, let-the-stats-do-the-talking campaign. 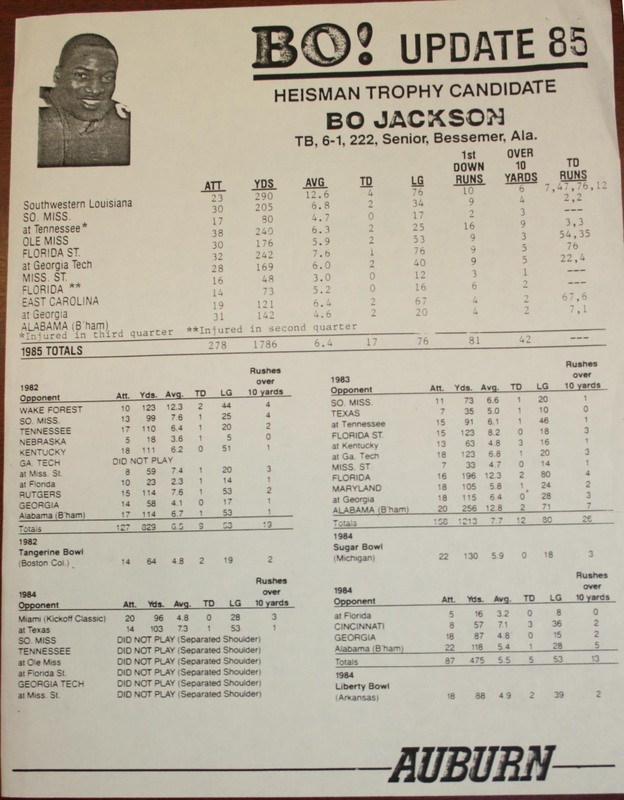 But the stats needed stamps. 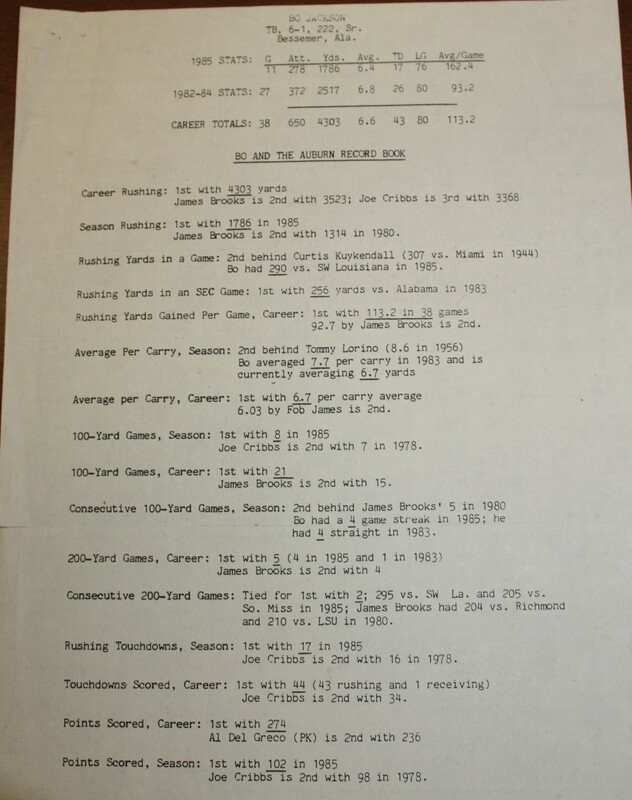 Here’s the ephemera (postcards, stat sheets, etc.) 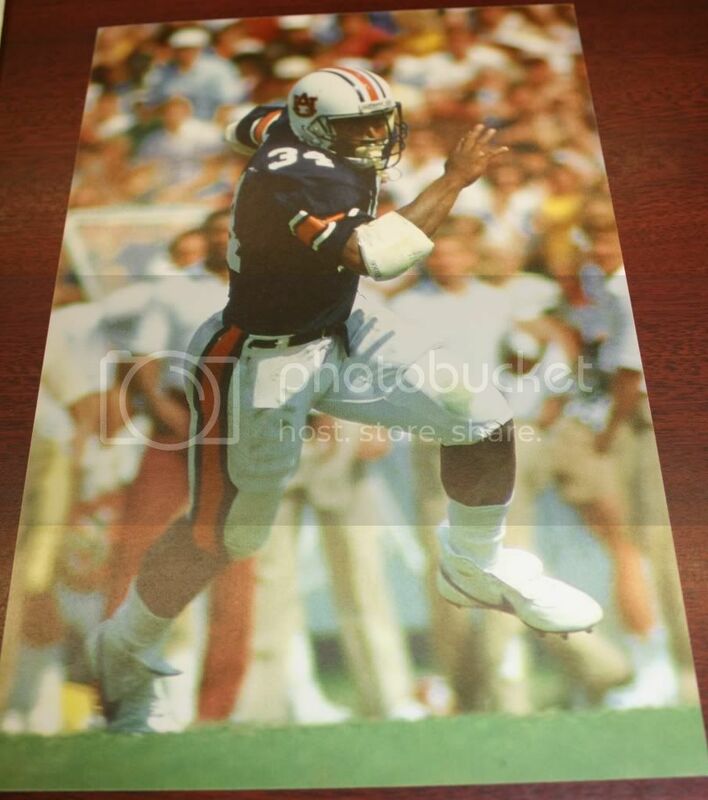 that Heisman voters had scattered across their desks 25 years ago, at least the Heisman-winning ephemera from Auburn. 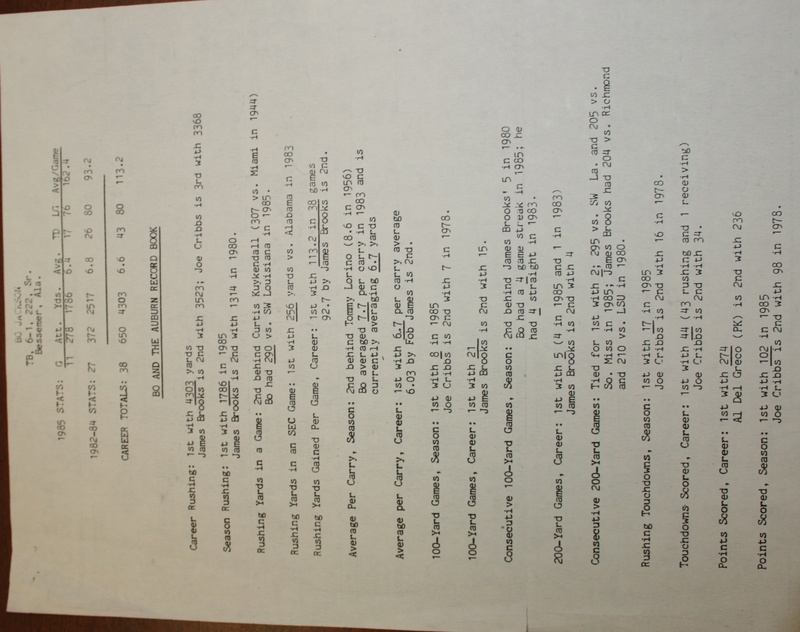 Courtesy AU Libraries Special Collections and Archives. 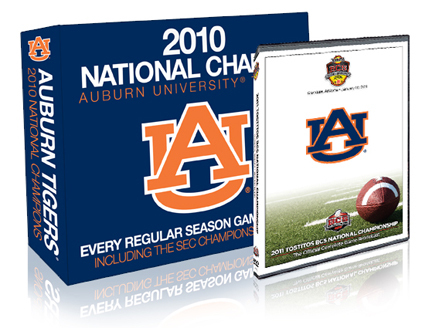 Go to WarEagleDVD.com (great, great Christmas gift) and enter TWER as your promo code. 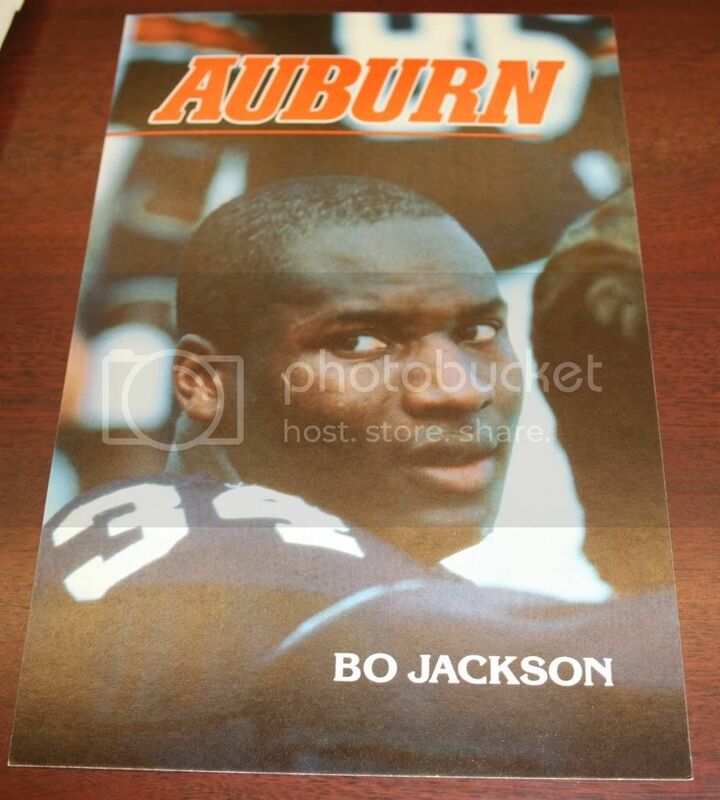 You’ll get free shipping… and you’ll help your favorite Auburn website keep the lights on during the long winter.